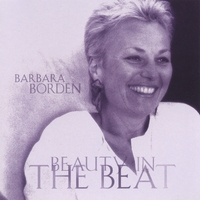 Barbara Borden brings new meaning to the word drummer by combining her musicality, spontaneity, wisdom and humor with the power of the drum. 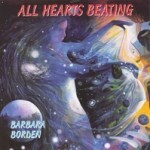 Borden’s deep connection to the Great Heartbeat of Life expresses the spectrum from ancient ritualistic to modern drumming. Her pulsing, polyrhythmic artistry combines heaven and earth revealing an original and innovative drumming style that captivates audiences and listeners as stories and images unfold through her unmistakable full round sound. A non-stop musical journey featuring drums, percussion and nature’s rhythms. Voice, violin and synthesizers add to the passion, sensuality and mystery that pulsate with primal reverberations, creating a soundscape of many moods. 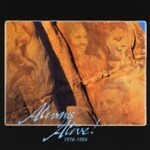 An evocative musical journey into the life and times of six historical visionaries. Highly textured compositions weave acoustic and electronic instruments in ways that imaginatively portray each individual’s spirit. The music will take you from a medieval monastery, over the Atlantic in a biplane, to an abolitionist rally—and more. 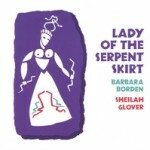 LADY OF THE SERPENT SKIRT is the first recording collaboration for Barbara and Sheilah and Cloud 9 Music’s first release. 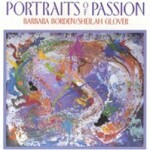 Together, Borden and Glover explore the interface between spacious electronic music, acoustic timbres and world beat drum stylings. A riveting fusion of jazz, gospel, and Afro-Latin – always with a message, be it political or personal, and always with a driving energy that can switch in the wink of an eye to a subtle sotto voce.